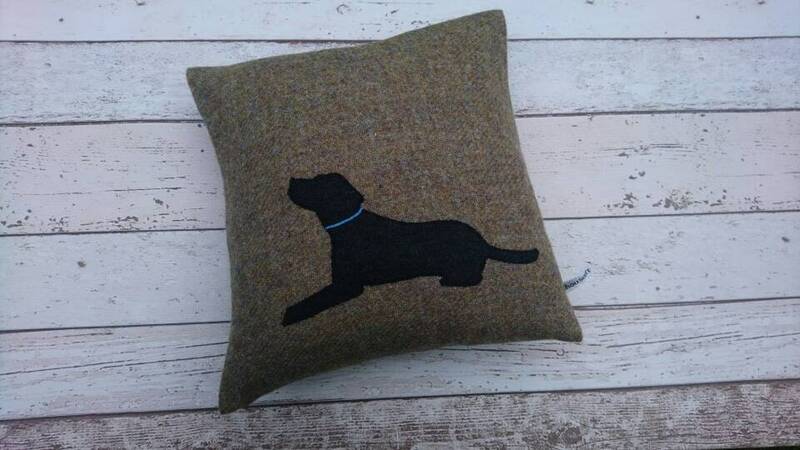 Hand Crafted black lab cushion cover made with Harris Tweed. 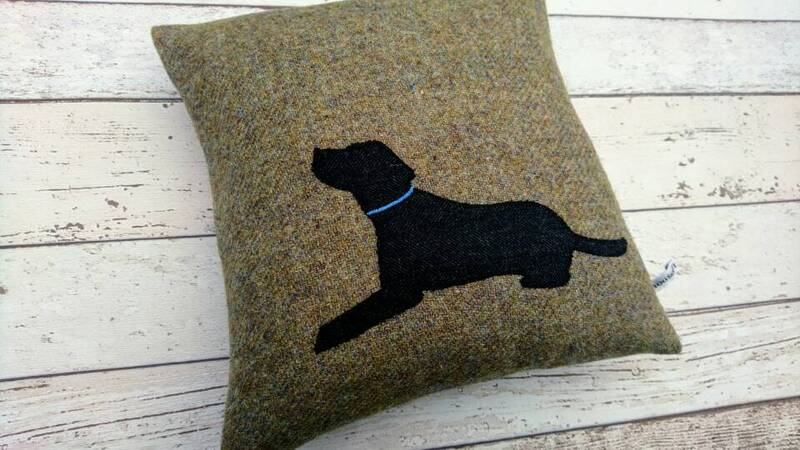 Beautiful beige Harris Tweed fabric on both sides. Envelope style opening at the back.